Mumbai 17 September 2016: Dry ginger (adrak) Sonth powder made with organic ginger has a beautiful smell and sharp taste. It is very beneficial for skin, hair and health. Dry ginger powder can be made easily at home. So how do we make Sonth Powder? Take a fresh ginger and wash it clean. Now peel the ginger and cut it into fine pieces. Now put the pieces in an oven and let them dry with the heat. Once dried put them in a a grinder and grind it to a fine powder. 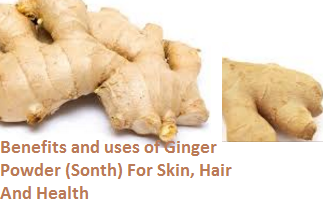 Dry Ginger powder is popularly known as Sonth, soonth, saunth in Hindi, Sonti in Telugu, Sukku in Tamil, Chukku in Malayalam, Shunti in Kannada, Sonth in Bengali, Soonth in Gujarati and Suntha in Marathi. 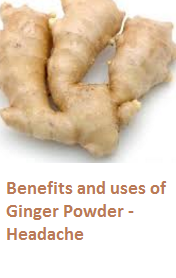 Ginger powder has many benefits we have listed a few below. Dried ginger powder is an important ingredient of many indian masalas which are used in making gravies, curries, marinades etc. Dry ginger powder (sonth powder) is used with other spices like cinnamon, fennel, cardamom and cloves to make masala tea. Dried ginger powder is used to flavor to a variety of baked goodies like ginger bread, ginger cookies and ginger candies. Ginger (adrak) has skin toning properties which help you get a glowing skin. You can apply a face mask made from ginger to get radiant skin. Grate an inch of ginger and mix it with 2 tbsp honey and a 1tbsp of lemon juice and refrigerate it for 30 minutes. Apply this mask on your face and wash it off after 30 minutes to get a smooth radiant skin. Ginger helps in improving bile production which helps in proper digestion. 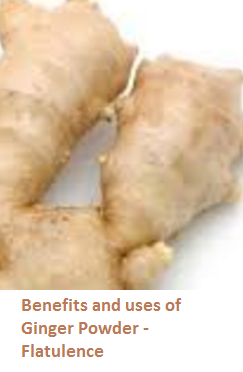 Ginger also facilitates smooth movement of food through the small intestines. Adding ginger powder to your food helps in improving digestion. Ginger (adrak) powder has the ability to reduce the prostaglandins from causing pain and inflammation in the blood vessels which provides relief from migraine headaches. Applying a paste made from ginger powder mixed with water on the forehead helps to stop headaches. Mixing dry ginger powder and sugar with tender coconut water helps in curing chest pain. Drink this mixture to get relief from chest pain. Ginger (adrak) is loaded with analgesic and anti-inflammatory properties are effective in reducing the pain and swelling in joints and muscles. 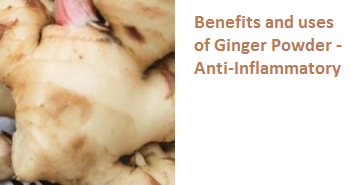 Ginger can be used both externally and internally to treat inflammation. 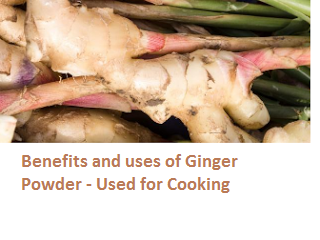 Eating Ginger (adrak) powder helps in opening the airway contraction and helps in increasing the secretion of mucus. 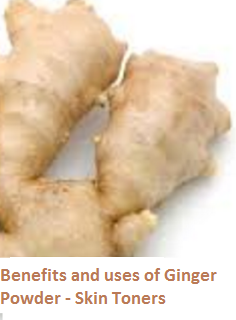 Ginger has antihistamine properties which fight cold causing bacteria. Having a teaspoon of ginger powder mixed with honey works amazing in relieving cough and sore throat. Having ginger powder helps in increasing the metabolism rate which inturn will burn off stored fat in the body and help in weight loss. This is also useful to reduce cholesterol and triglyceride levels in the body. 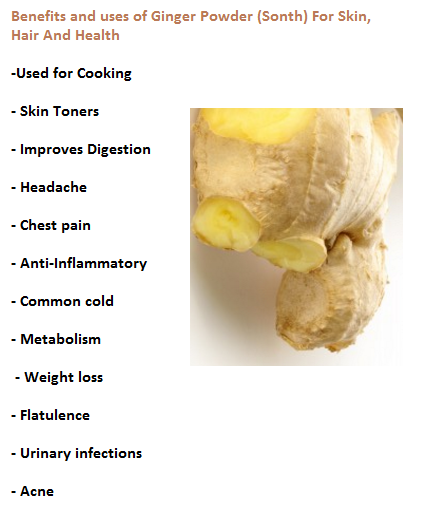 Ginger (adrak) is said to be one of the best fat burning foods. Ginger eliminates the stubborn fat from your body. Ginger also makes you feel full for longer, This limits your food intake, thereby causing weight loss. Making ginger tea using ginger powder is an amazing remedy to lose weight. 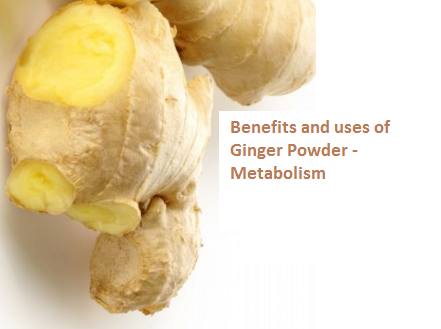 Ginger powder is loaded with carminative properties which help cure upset stomach. Mix dry ginger powder with a pinch of asafoetida and black salt in warm water to clear flatulence. 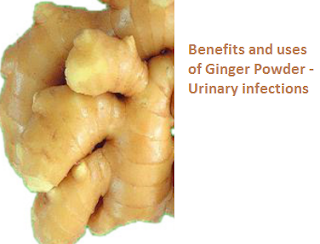 Ginger powder has a lot of antiseptic properties which help fight infections in the body. Having a mixture of ginger powder and sugar added to warm milk helps to cure urinary infections. Ginger powder is known to be an amazing antiseptic and cleansing product, it keeps the skin clean and free of blemishes. 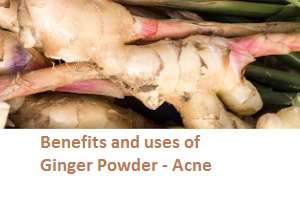 Ginger powder also energizes and rejuvenates your skin. It minimizes the rate of acne formation and eruption by fighting and clearing the acne-causing bacteria which makes it one of the best natural anti acne product.